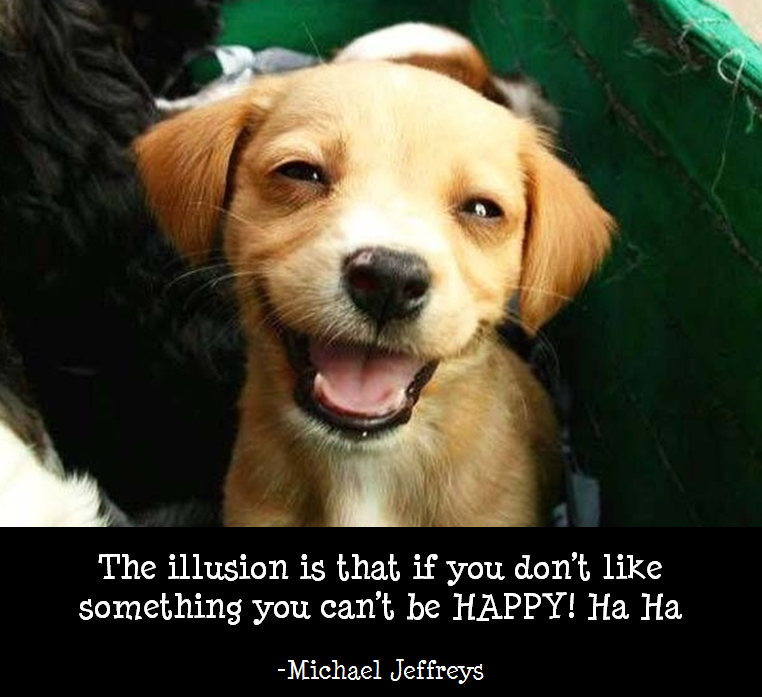 Are You your mind (and its lifetime of conditioned beliefs and seeking for happiness in a future experience) or THAT which is AWARE of the mind (and its lifetime of conditioned beliefs and seeking for happiness in a future experience)? The difference between believing you are the mind versus seeing/being AWARE of the mind and its incessant seeking is everything. Peace/Happiness (despite the mind’s claims/protests/stories is here/now (where else?) as everything (the totality of whatever IS) and not in some specific imagined future experience. Thus, if we are starting from/in mind, we have already gone astray because we have left the only “thing” that ever truly IS. Q: What is the best way to suffer? 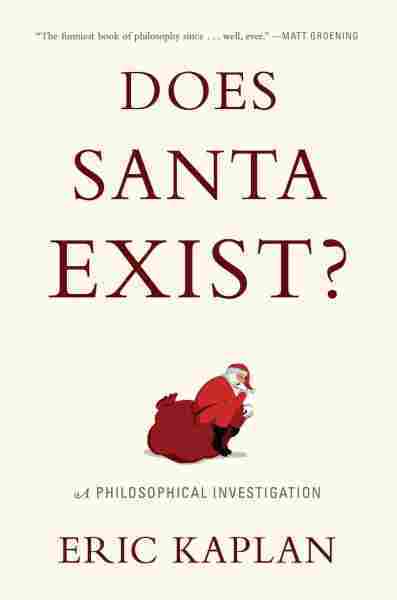 While I was there, this book, “Does Santa Exist?” by Eric Kaplan caught my eye in the philosophical section. Both Joey Lott and myself have used the example that just because Santa is a fictional character, doesn’t stop many from believing (at least to some degree) that he really exists. (The analogy being that our very own “self” is also unfindable, but it doesn’t stop most from believing it’s what they are). Eric raises the interesting question: is it possible for a person’s mind to BOTH believe something AND not believe it?? Imagine a field so big we can play the biggest game of red rover in history in it. Imagine we could open up our skull and have all the beliefs get out and stand on one side of the field, holding arms. On the other side of the field stand all the things. One by one, the beliefs call out what they are about. When the belief in Africa calls out his name, “I’m a belief in Africa!” the actual object— Africa— raises its hand, and they go off to a side field labeled TRUE BELIEFS. “Bees ! I’m a belief in bees!” “Great! We are bees! ” And they go off together. “I’m a belief in the planet Neptune!” “I am the planet Neptune! Let’s get a drink!” And off they would go paired up. At the end of the day, a few beliefs would be left standing on their side of the field . They raise their hands : “I’m a belief in the lost continent of Atlantis!” And nothing answers on the other side. There is no lost continent of Atlantis. “I’m a belief in pixies!” No answer. There are no pixies. “I’m a belief in Santa Claus!” No answer because there is no Santa Claus. The belief in Santa Claus is wrong because there is no Santa Claus to correspond to it. 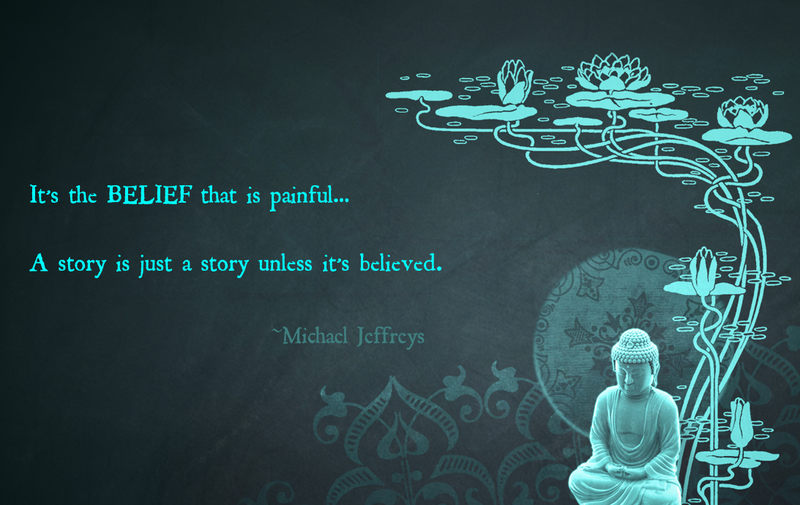 The first problem is that our beliefs don’t separate themselves into little bits. How would we count beliefs? Is my belief that Africa exists a superbelief made up of beliefs in all the people, countries, and animals that I believe are in Africa? Or is it part of a larger belief that the world is divided into landmasses? Or a still larger belief that there are such things as physical objects of which Africa is an instance? All and none. My beliefs form a web or, better yet, a world. If anything corresponds to anything , it is the whole assemblage of beliefs, all linking arms, who correspond to the whole assemblage of facts, all linking arms. My mind corresponds to the world as a whole. But there’s a much more serious problem. When we imagine playing our game, we imagine that we ourselves are standing in the field somehow adjudicating the game. We are looking at the beliefs on one side of the field and the things on the other. But when we look at a thing and see it, that is just another way of saying we believe that that thing exists . As I work with individuals one-on-one, the #1 thing I do is LISTEN from a space of PRESENCE. 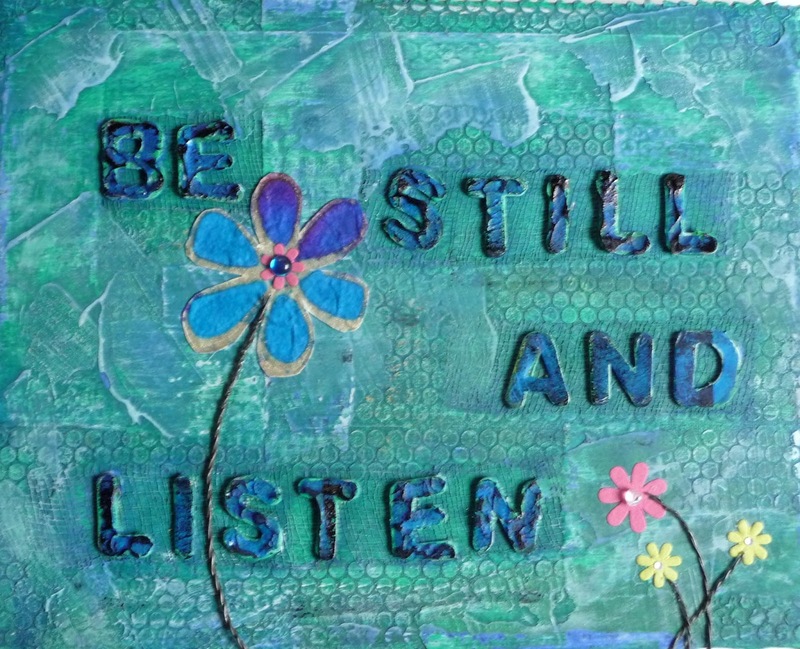 I often begin my sessions by saying, “You have my FULL attention, please share with me whatever is on your mind.” And then I be quiet. This non-judgmental space allows the person to share openly and freely… and at some level, oftentimes that is all we really want is to be genuinely heard by another. Sometimes someone’s post on facebook will spark something in you. For example, after reading Em Be’s words above, it somehow hit me very clearly/deeply that ANYTHING that appears to you can ONLY be fully WHAT IT ALREADY IS. 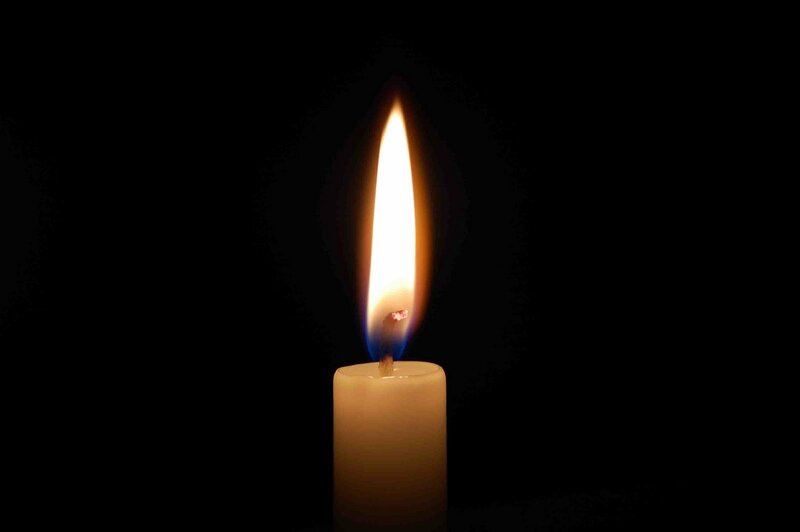 So, in Em Be’s example above, Light can ONLY be light. It can never “know” darkness because it can only be what it is. It sounds so obvious now as I write this, but somehow seeing this clearly eluded me for a long time. Looking back (oh, now I am in trouble! ;), I can now see that there was this tendency active within me to try to immediately change a feeling or perception that “I” felt/was perceived as negative or painful. Again, what “landed” for me after reading Em’s quote, was that whatever I am experiencing in the moment can ONLY be, fully, whatever it is. It was in fact my urge to try and change something “mid-stream” that was causing so much pain and suffering. Let everything be as it is, without needing it to do anything except be fully whatever it already is… as YOU rest in the changeless awareness that you have never not been.